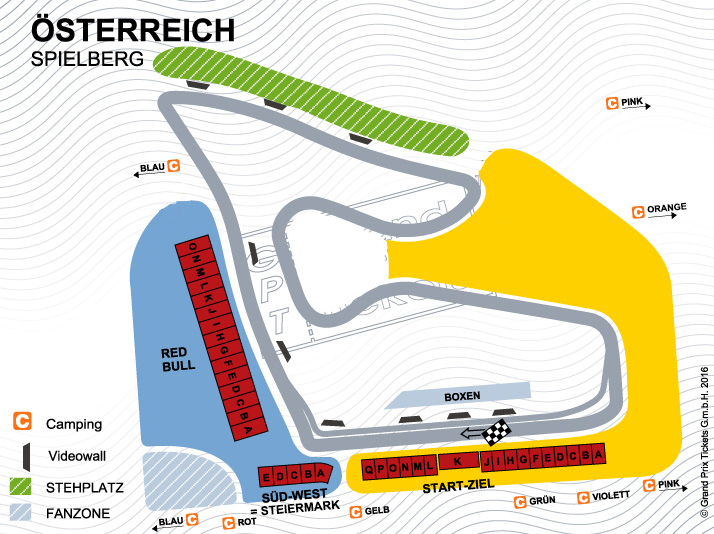 The Red Bull Ring is a traditional race track in the town of Spielberg in Styria, which was opened in 1969 as “Österreichring” and from 1997 to 2003 called A1-Ring. After a longer break and a lot of rebuilding the Formula 1 came back to the Red bull Ring on 22nd June 2014. An architectural highlight of the circuit is the modern Main Grandstand, which resembles the rear wing of a Formula 1 car. The circuit’s landmark is a 15m high bull made of steel, which is located in the middle of the area. The Red-Bull-Ring is a very interesting circuit that promises lots of action with its sharp right-hand corners, two quick left turns in the infield, and two long straights for overtaking manoeuvres. The big differences in height contribute to this too.